There are lots of tips on how to have a successful trip to a casino or a day at an online one, but there is one thing that matters the most at the end of the day and it is managing you bankroll. Before stepping in into the gambling business you should know exactly what your budget is and how much you can afford to lose. 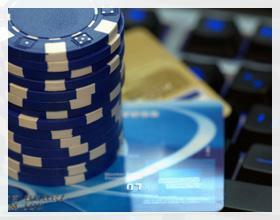 First step should be taken before you even decide to play at an online or land-based casino. You should scrutinize your finances and evaluate the situation in a realistic way. Once you have done that it will be easier to decide how much you can afford for entertainment. And that is the one and only part of the money that you should be using for the gambling. Never use funds that you need for other important things in the hope of doubling it! Your Money is the Only Money worth Gambling With! Never ever gamble on credit! That is exactly how all of the problems start. At first, you might think that taking a pretty small credit is nothing big and you will deal with it very easily; unfortunately, things can get messed up in seconds with credits. So, if you have no spare cash to spend in casinos just be patient and wait. Staying for too long in the casino usually does not come out to be profitable. As after hours of playing you may no longer be as fresh and realistic as at the moment you entered. It is better to have short and frequent visits of gambling. Accordingly you should divide your total budget on several visits, depending on how many times you are planning to gamble in that period of time. Always stick with the plan you had in the beginning! You sure do not want to leave casino with empty hands, so every time you win some amount set aside a portion of it. This way coming out as a winner is more or less guaranteed. You have all the fun and you keep your funds to yourself; what can be better than that? Learning how to manage your bankroll when playing at casino is something every single gambler should be passionate about. Because some might even win big during a specific session, but what really matters is holding on to that money and not losing it all back by not knowing when to quit. I like to cash out and keep that coupon. Then I will put another $20 or $100 in, If you leave a large credit in the machine,, it’s way too easy to keep hitting spin, and before you know it, you credits are gone!! At land casinos I mean.